Because modern console controllers are all wireless, keeping them constantly charged is as vital to the gaming experience as choosing the right controller. That's why the original Nyko Charge Base was like my personal team doctor, making sure the guys were ready and charged for game time. But now could Nyko improve on something that's near perfect? This is how. 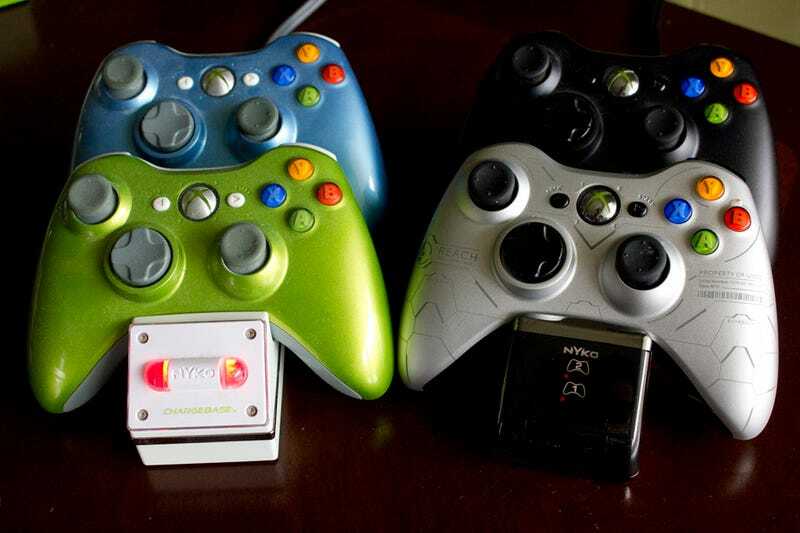 The Charge Base S is black to match the Xbox 360 S, and still charges two controllers at the same time. The charge indicator is smaller and doesn't have a crazy green/red glow when charging (that was annoying), and also gives you the charge level of the battery. The added USB port is definitely useful, for charging a third controller or just your cellphone if you have it within reach. No real complaints! People who don't have an Xbox 360 S or black controllers might wish that they made a white version, but other than that, the Charge Base S does one thing and it does it well.